The year was 1994. I was six months removed from a college degree and somewhat devastated after lasting only three months at my first real-world job. To say that I was lost would be an understatement. While there were many things I needed at this stage of my life, perhaps what I needed most was motivation. So I did what seemed to be the most logical thing to do and started reading motivational books and listening to motivational speakers. If motivation was what I needed, then I’d surely find it in the pages of a book or the words of a dynamic speaker, right? The pinnacle of my motivational journey was the opportunity to attend a conference led by none other than the master motivator himself, Tony Robbins. The room was abuzz with a certain level of positive energy that would be difficult to replicate in any other circumstance. His words certainly resonated in my mind and my heart stirred with a newfound sense of motivation. I was finally ready to put on my big boy pants and conquer the real world once and for all. Fast forward two weeks and I was once again in a familiar place: the mental pit. The motivation I once felt had quickly become a distant memory. The books weren’t changing me. Tony Robbins hadn’t changed me. Something had to give. One day, it finally hit me. I realized I’d spent the vast majority of my journey looking for motivation out there. Despite what I read or who I listened to, the type of motivation I experienced was always short lived. The one place I’d failed to look was in fact the place where true motivation resides: my own head and heart. You see, I made the costly mistake of reading each book and listening to each speaker with a mindset of “I hope this motivates me.” The fact is that Tony Robbins wasn’t responsible for motivating me, nor was any of the countless books I read. My job was to own the tools and use them to self-motivate. Unlike outside, extrinsic motivation, self-motivation is the only kind of motivation that is both long-term and sustainable. Today, as I strive to teach emotional intelligence to kids throughout the world, I never claim to be a motivational speaker. In fact, I often cringe when people refer to me as one. While motivational speakers may very well motivate, motivational teachers are more interested in empowerment. My message will almost certainly motivate kids, but that’s not enough. I want them to learn the valuable skill of self-motivation; a skill that took me until my adult years to learn. Self-motivation can only occur as a result of empowerment, not motivation. If you’re a parent, teacher, or coach, it’s likely you’ve felt pressure, directly or indirectly, to motivate the young people you work with. Guess what? That’s not your job. Of course you want to serve as a source of motivation, but it’s absolutely critical that you empower young people to master the skill of self-motivation. If their only source of motivation is you, what will happen when you’re not around? Below are three ways you can empower young people to self-motivate. Help them understand that boredom is a choice. Simply put, everything we do (or don’t do) is influenced by the emotions we feel. One of the most common complaints I hear from kids is that someone or something is boring. Whether it’s a teacher who isn’t making learning fun or a coach who isn’t challenging enough, it’s easy for a child to extend a finger of blame as a means of justifying his boredom. Thoughts influence feelings and feelings influence actions. Therefore, if we want to teach kids to transform boredom, we must begin by addressing the quality of their thinking. Praise the process, not just the result. The more we emphasize the result (win/loss, grade, test score, etc. 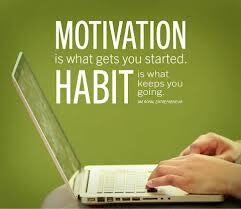 ), the more we fuel extrinsic motivation. The “dangling carrot” is certainly a great way to motivate, but if the carrot is the sole purpose of your motivation, then it becomes an extrinsic reward. Conversely, if you place the carrot out there, yet celebrate the process (hard work, dedication, patience, etc. ), you are fueling intrinsic motivation. I invite you to read a blog I wrote, which explains this process in greater detail. Click here to read it. Encourage your child to own what they’ve learned. You can’t just give your child a heavy dose of content and expect it to motivate her. When I do leadership workshops, I always tell my students that each of us carries an invisible tool belt. The more tools we have, the better equipped we are to tackle the challenges of life. However, if the tools are unused, they essentially become useless. At the end of each chapter in my book, Seriously, Dad?, there’s a Using The Tools section for this very reason. Whether it’s my book, or any other book, I encourage you to use it as a source of empowerment, not motivation. Oh, if only we could all remember that wisdom daily!!! What a great post! Thanks for all you shared here.